While an inch of rainfall doesn’t sound like a lot, an inch of rainfall on top of a roof could cause a lot of water damage if your gutters don’t direct it down and away from the house. Most people don’t think about their gutter until they’re clogged, overflowing, or being ripped off the house. 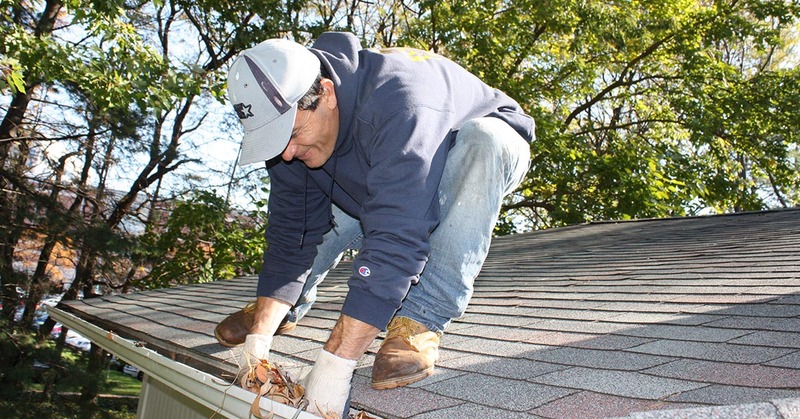 Regular maintenance and repairs are critical to staying one step ahead of a problem with your gutters. As a homeowner, you know keeping gutters clean is one of life’s necessities. Whether you live in a townhouse or a bungalow we are here to care for your home’s gutters. Keep your gutter system free-flowing at a fraction of the price. Reduce your risk of a serious fall or injury. Avoid the mess and hassle of cleaning gutters yourself. Protect your home from water damage and other costly forms of damage. Let the experts at Aerotech make sure you are ready for whatever the weather may bring.